1. In a large skillet over medium heat, spray non-stick pan spay. Add the leeks and garlic to the pan. Sauté until soft and fragrant. 2. Add red wine vinegar to the pan and mix in with onions and garlic. 3. Add sliced, cooked sausage to the pan and sauté until slightly browned. 4. Add cabbage, paprika, salt and pepper. Toss to mix all ingredients together and coat the cabbage with seasonings. 5. Saute until cabbage is wilted and slightly browned. 6. Top with fresh parsley and crushed red pepper flakes before serving. In a small bowl, stir together ingredients for dressing then refrigerate until ready to use. In a large bowl, toss salad ingredients together. Add dressing a little at a time then toss until lightly coated. Season with salt and pepper to taste. Serve immediately. 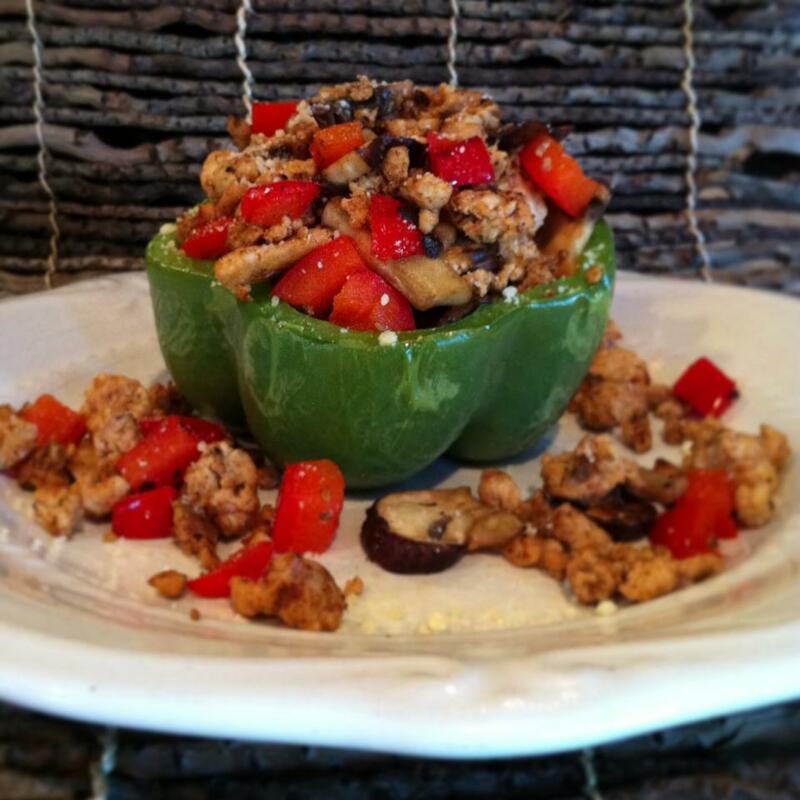 · Combine ground meat, salt, pepper and red pepper flakes into a mixing bowl. · Add in crushed garlic. · Use a fine grater to grate the onion right into the bowl. Discard any large pieces that fall off or are too difficult to grate. 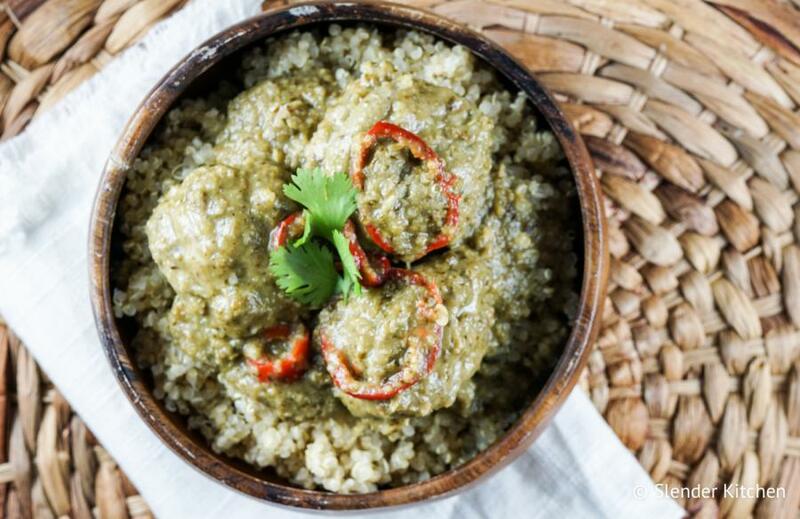 · Finely chop parsley and spinach and add meat mixture. · Mix until well combined and roll into golf-sized meatballs. You should yield 12. · Gently place each meatball into the slow cooker, allowing for some room around each one if possible. 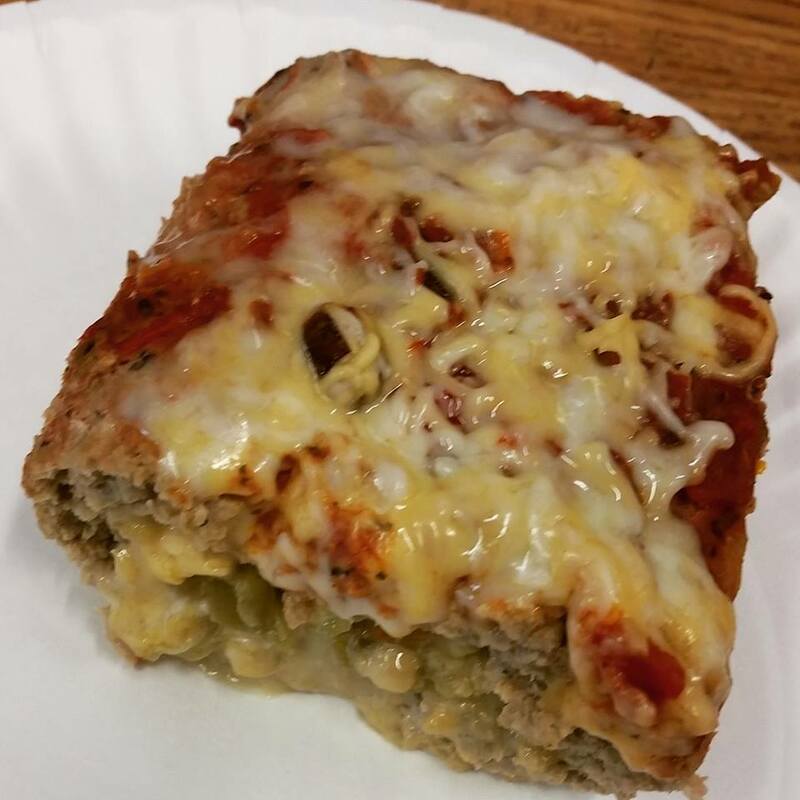 · Cover with marinara sauce. Set slow cooker to low for 6 hours (or high for 3 hours). 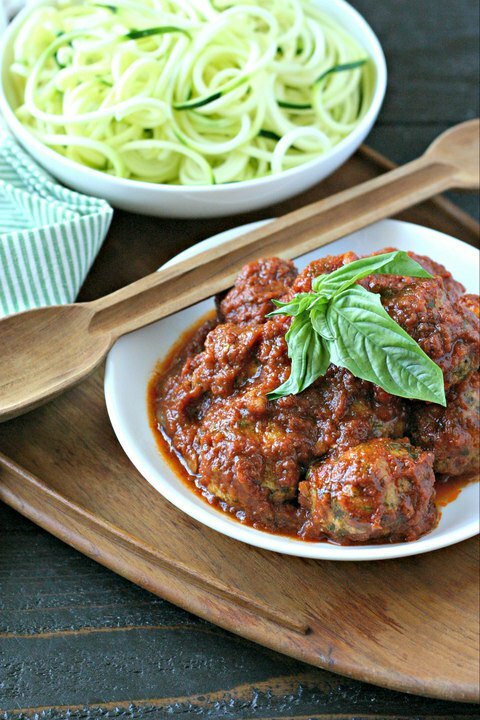 Serve over zucchini noodles or spaghetti squash and Enjoy! 1. Combine the first five dry spices in a small bowl and spread over chicken on both sides. 3. Pour spice blend in the bottom of the crock pot. 4. Place chicken on top. 5. 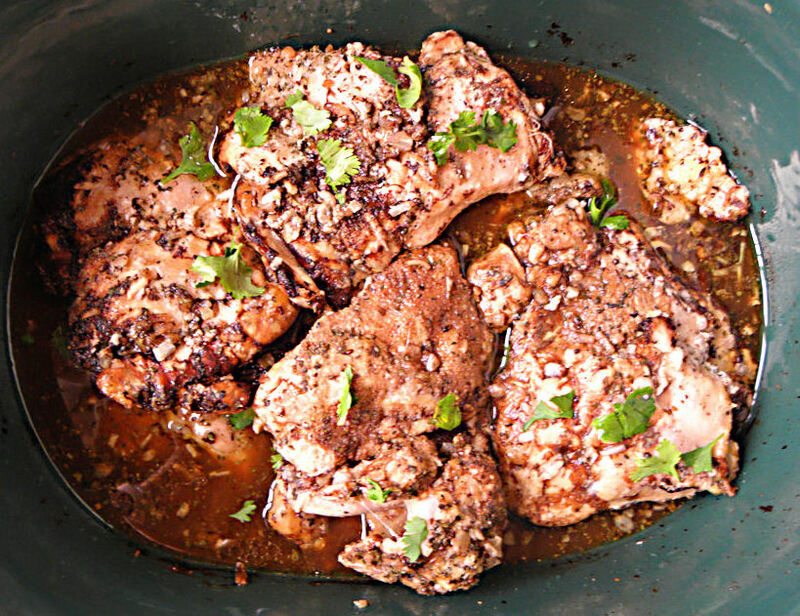 Pour balsamic vinegar over the chicken. 6. Cover and cook on high for 4 hours. 7. Sprinkle with fresh parsley on top to serve. Stir together the coconut milk, chicken broth, curry paste, garlic, and ginger. Add to the slow cooker. If desired you can also add one sliced jalapeno as well. I used a red jalapeno, but the standard green works as well. Add the meatballs to the slow cooker and cook on low for 4 hours. Taste the sauce and meatballs and adjust as needed. You can add more curry paste and salt to the sauce if you need more heat/flavor since curry pastes vary greatly in flavor. Pre-heat oven to 375° F. In a large bowl, mix the ground turkey, egg beaters and spices together. Cut a large square of waxed paper and roll out the ground beef mixture into a flat square. Sprinkle with half of the cheese and the green chili peppers. Roll the waxed paper, with the meatloaf in the middle, until it shapes into a loaf. Carefully unfold the waxed paper from the meatloaf and remove. Fold the ends of the meatloaf to the cheese and chilies will not spill out during cooking. Place in a loaf pan. Top with salsa. Bake in oven at 375° F for 50 to 55 minutes or until done. Sprinkle other half of cheese on top and bake an additional 10 minutes or until cheese is melted. The whole family will enjoy this. It also makes for great leftovers. Heat Crock Pot on low setting. 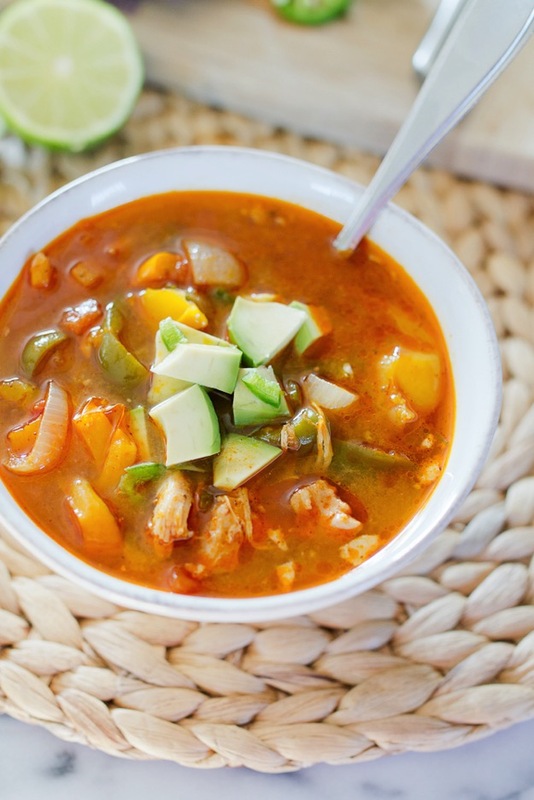 Add all ingredients to slow cooker, cover and cook on low for 6 hours. Using two forks, shred the chicken breasts. They should come apart very easily. Cover and cook 1 additional hour. Preheat oven to 375F. Slice the bacon. Cut the core out of the cabbage and cut it into thin strips. Mince the onion. Heat a small frying pan over medium high heat, add the strips of bacon, and cook until the bacon is browned and very crisp. Drain bacon on paper towels. Heat 2 teaspoons of olive oil in the largest frying pan you have, add the minced onion, and cook over medium-high heat until it’s barely starting to brown. Add the sliced cabbage, season with paprika, salt, and pepper, and cook just until it has softened partly. Then add the crisp bacon pieces, stir to combine with the cabbage, and cook 1-2 minutes more to combine flavors. Spray a glass baking dish with olive oil or non-stick spray, 13″ x 10″. 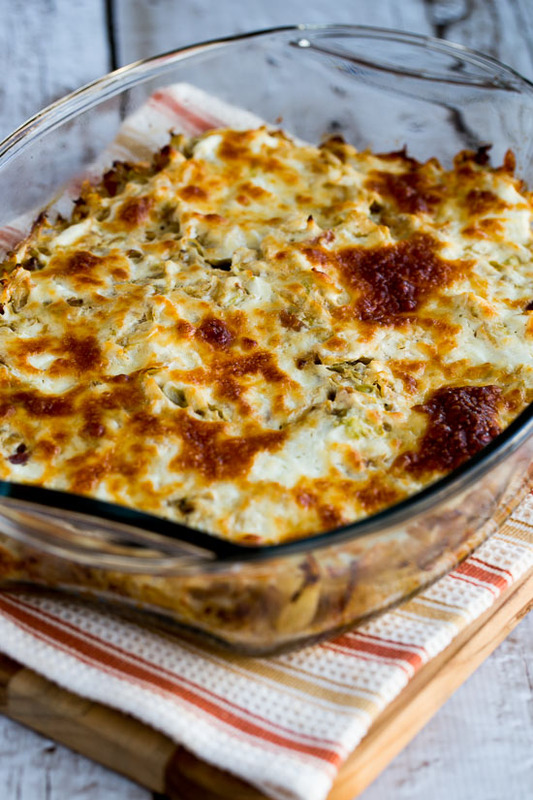 Put the sauteed cabbage in the casserole dish and spread the greek yogurt over, then sprinkle with the grated Mozzarella. Bake about 30 minutes, or until it’s bubbling hot and the top is nicely browned. Serve hot. 5 large Green Bell peppers, halved, seeded and cored. 2. Halve your green bell peppers lengthwise. 4. Drain on paper towels, then, lay them “cup” side up, on a flat sheet pan. 5. 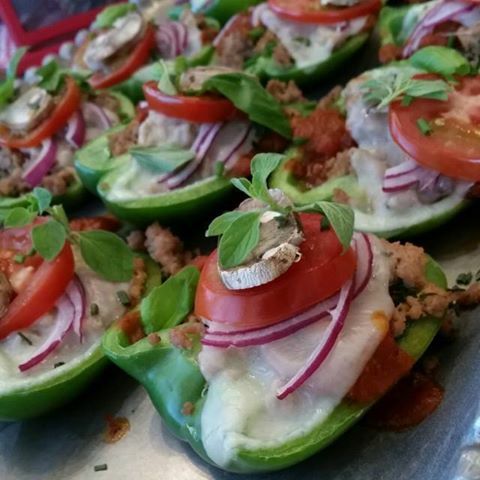 Place a few Tbsps cooked turkey, and marinara inside each pepper. 6. Place 1/2 slice of cheese on top of meat, then arrange desired Veggies on top of that. 7. Bake in preheated 375 f oven for about 8-10 minutes…just until cheese is melty.